The world and our daily lives are filled with distractions. It's getting more and more difficult to stay focused on the task at hand. 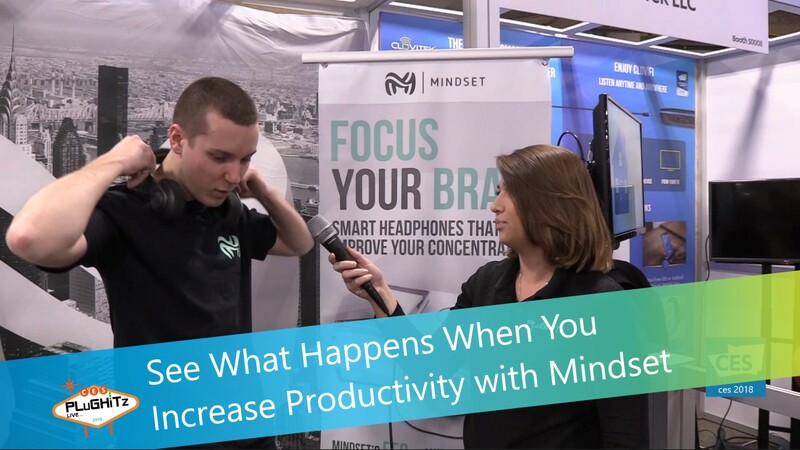 The team at Mindset have seen the transformative power of EEG and, with the overall goal in mind of bringing it to everybody, they have developed the Mindset Headphones. These over-ear headphones have EEG sensors embedded to measure the electrical activity in the brain and parse it out to measure how focused you are while working, studying, completing tasks, etc. This technology is used to improve concentration. While wearing the headphones, when you get distracted, they will send you a signal to make you aware. Over time, this trains your subconscious to better recognize those things that distract you so you can tune them out. It comes with a customizable app that allows you to choose how you receive the cues. You also use the app to track your progress. It's like a fitness tracker for your brain. You can track how often your are distracted, your best hours for concentration, and figure out which habits are affecting your focus throughout the day. The headphones themselves are made by Onkyo and deliver great sound. They were designed to give an experience that was built for work with Bluetooth and active noise cancelling. They can be worn comfortably all day with a battery life of 8-10 hours. The price point for these headphones will be $350 when they launch. You can preorder your pair here with a 25% discount. Preorders will ship in April 2018.